Logitech Alert system 750 Master System is completely wired system (uses the existing electrical wiring for communication) and consists of the following components. An outdoor unit, An indoor Unit, commander software for controlling the camera and a Home Plug interface. 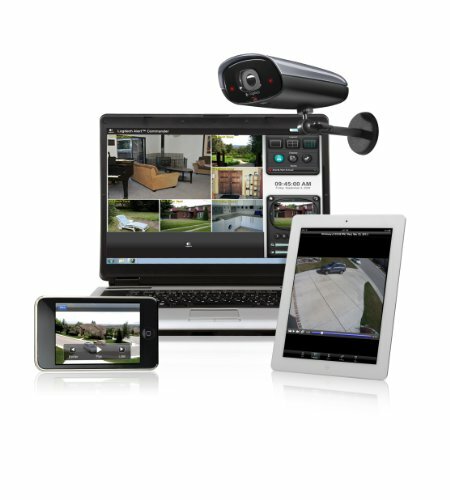 It allows you to connect up to six cameras to your home's LAN without needing to run complicated wiring. The cameras will trigger detecting motion and will record audio and video. The system can send you alert messages when motion is detected. 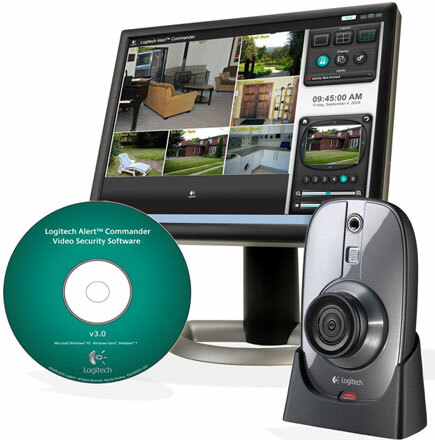 You can even remotely manage and monitor your system from anywhere in the World. 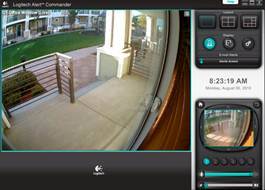 Outdoor unit consists of a night vision camera, and interfaces Home Plug and an Ethernet. Camera can be controlled from any PC or smart phone (iPhone and Android Phone) and record HD video (720P) and it supports audio too. It has a built in 2GB Micro SD card and can record upto 2 weeks video and the duration can be increased by replacing the memory card. Indoor unit has all the functionality of the outdoor unit and the only difference is that it is not weather proof. There are various ways to mount the device – on a stand, with a suction cup or screwed into a wall with a rack-type mount. It has 720P video and has 135 degree wide angle lens to cover most of the things in the vicinity. Following figure gives an idea of the commander software and the high quality video footage.